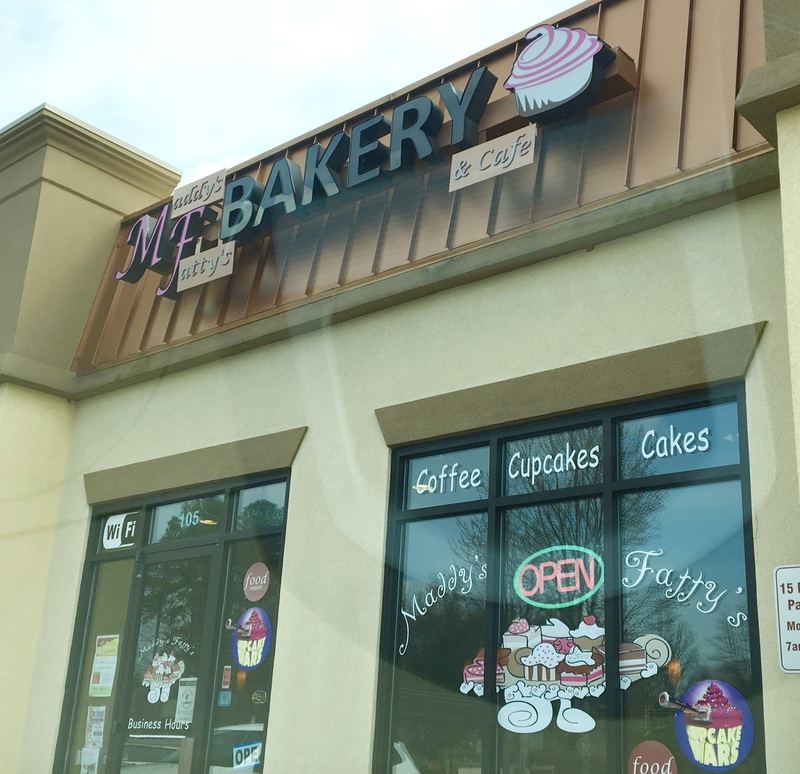 When I knew I would be spending my birthday and part of my spring break in North Carolina, the search began for a gluten-free and allergen-friendly bakery. 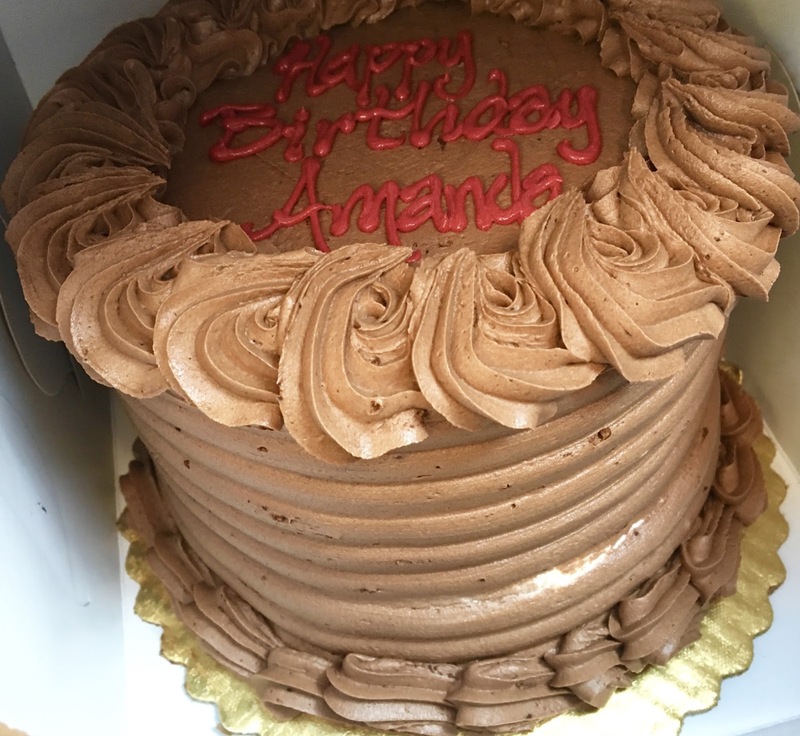 Realizing that I could not remember the last time I had a birthday cake, my aunt and I went to work to vet Charlotte area bakeries to see which we felt most comfortable with. After all, getting a gluten and dairy-free cake is no small order. 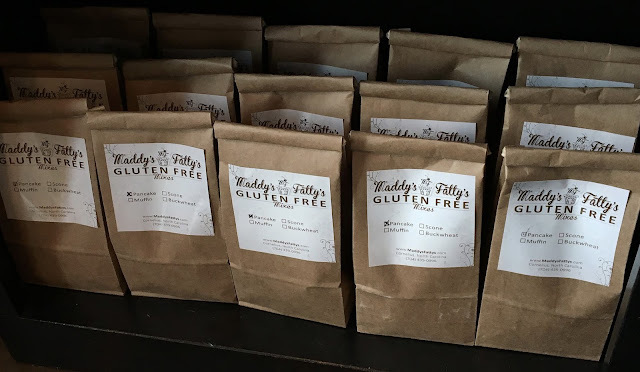 On a past tip from a gluten-free friend who's local to the area as well as gluten-free know-how demonstrated by the staff via phone, I decided upon Maddy's Fatty's Bakery in Cornelius, north of Charlotte. With an impressive resume of accolades from Cupcake Wars and locals alike, Maddy's Fatty's strives to make top quality baked goods in supersized portions. As I discovered, Maddy's Fatty's might be off the beaten path but well worth the side trip. First thing's first: Maddy's Fatty's is not a gluten-free bakery. Of course I prefer a bakery free from gluten, but with no options in town, I picked this one for their allergen knowledge and protocols. Gluten-free sweets are baked first thing in the morning to prevent cross contamination and steps are taken to make sure they maintain gluten-free integrity. Although my aunt had preordered cupcakes and a cake, I was impressed by the dedicated display of gluten-free baked goods on hand. Muffins, scones, biscotti, cupcakes, cookies, and brownies were on hand, each looking more tantalizing than the next. Generally, the cookies, brownies, and a few cupcakes each day are gluten-free and vegan, just be sure to double check with the staff before purchasing one. With advance notice, other baked goods can be requested gluten-free and/or vegan as well as egg-free, dairy-free, soy-free, and sugar-free. Gluten-free mixes also were on hand, coming in pancake, muffin, scone, and buckwheat varieties. When ordering, we let Maddy's Fatty's know that we would pick up the cake around 2pm. Arriving around 2:45, I was a little mystified to be told that we'd have to wait 20 minutes or so for the cake to be ready. But in the big scheme of things, I realized it really wasn't a big deal. How often do you get a gluten-free vegan fully decorated and personalized birthday cake? On the way home, the cake experienced a little bit of trauma, as the first two layers completely slid off the base layer. Not to worry though, the leaning tower of cake-ness was righted upon getting home. Despite the minor aesthetic flaw, the cake was absolutely incredible. Moist, rich, and perfectly sweet without being obnoxiously sugary, the cake was delicious. 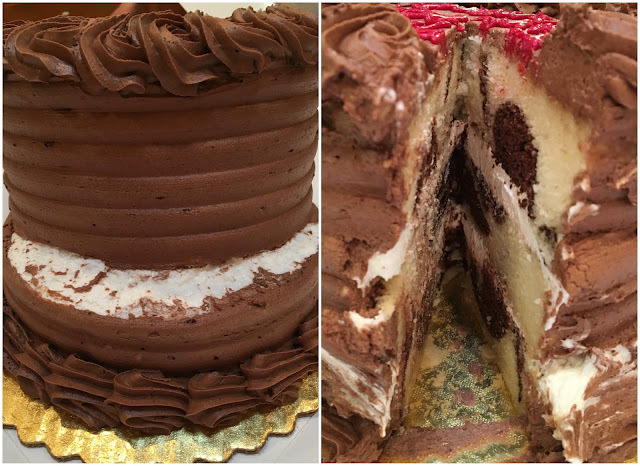 The marbling was even, allowing for chocolate and vanilla to layer evenly in each bite. The interior vanilla icing was creamy and dreamy while the chocolate exterior was fudge and stiffer, allowing elegant roses to hold their shape. The cake itself was massively tall and at 6" in diameter, has a suggested serving size for eight people. It lasted almost a whole week of my aunt, uncle, and me nibbling on it and savoring each and every bite. Despite the wait, it was well worth it for this incredible cake and the beautiful decor that made it truly unforgettable and a real birthday treat. The salted caramel cupcakes were perfectly sized for an individual portion, and had the perfect cake to frosting ratio. 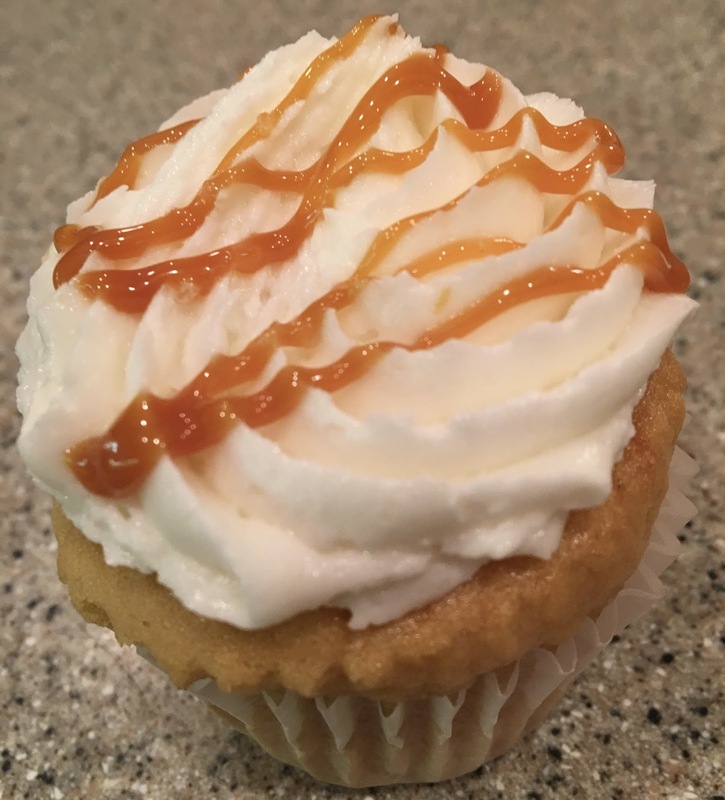 The cake itself is golden and vanilla-y, with a perfect crumb and moistness, the fluffy icing is sweet without being sickeningly so, and the caramel drizzle adds the perfect amount of pizzazz to bring the caramel flavor without it being too overpowering. Although they were excellent, I think my heart sided with the cake as my favorite, but I honestly wouldn't turn either down because they were both truly one of the best bakery-bought items I have ever had gluten-free or vegan. Just a note about handling- the staff recommended keeping the sweets in the freezer to preserve their moisture. Don't put them in the fridge because it'll dry them out. Over the week or so I nibbled on the cake and cupcakes, they kept wonderfully in the freezer not losing a bit of their taste, texture, or consistency. Without a doubt, Maddy's Fatty's knows a thing or two about baking with allergy considerations. 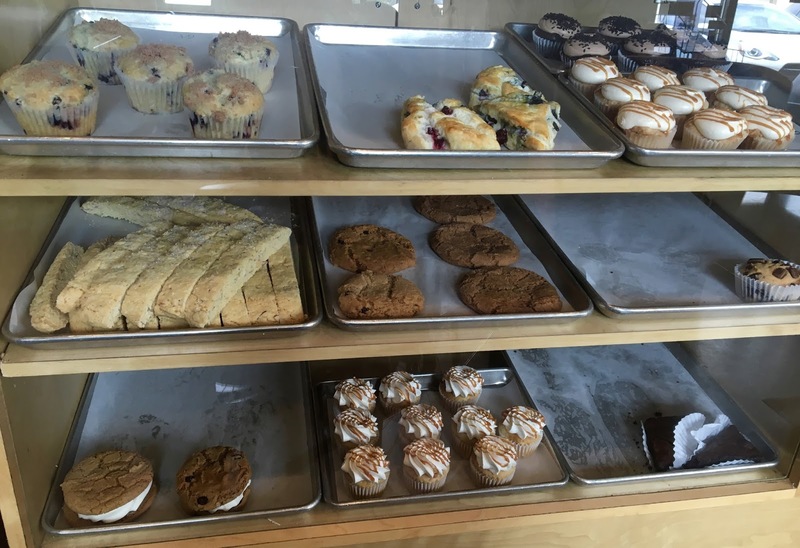 Although not a dedicated bakery, they demonstrated a mastery with my gluten-free, vegan baked treats that had me singing their praises with each bite. In a world where I have to miss out on friends and family members' birthday cakes, it was such a simple joy to have cakes that not only taste good but looked fantastic too on my special day. I would certainly pay Maddy's Fatty's another visit in the future, and look forward to sampling more of their gourmet goodies.